Brightroam Blog » Travelling Cheap and Local! As much as many of us would love to explore the world be it Europe, Asia or tadalafil lilly 20mg Oceania, it tends to not be possible because of cheap articles writing service money. online canadian pharmacy But travelling isn’t just about the sites and landmarks, it’s ultimately about experiencing something new, something different from your everyday routine. That’s why Brightroam has come up with some travel ideas that are in Canada, for you to enjoy without the hassle of flights and expensive hotels. Although hotels and travel expenses are still there to keep in mind, they definitely can’t compare to how much you’d have to spend on jetting away. Here’s the list of Brightroam’s picks for travellers looking for a quick and easy vacation. As typical as these may sound, there’s more to these places than just the name, and you’ll find out why. Basilicas upon basilicas, in a good way of course. Montreal’s historic architecture is a sight to behold, after all, there has to be a reason why Notre Dame is so well known. What I personally love about this city is the historical setting and not to mention great food and art everywhere. It’s definitely not a great place to take your small children, but if you have teenagers, this is the place. 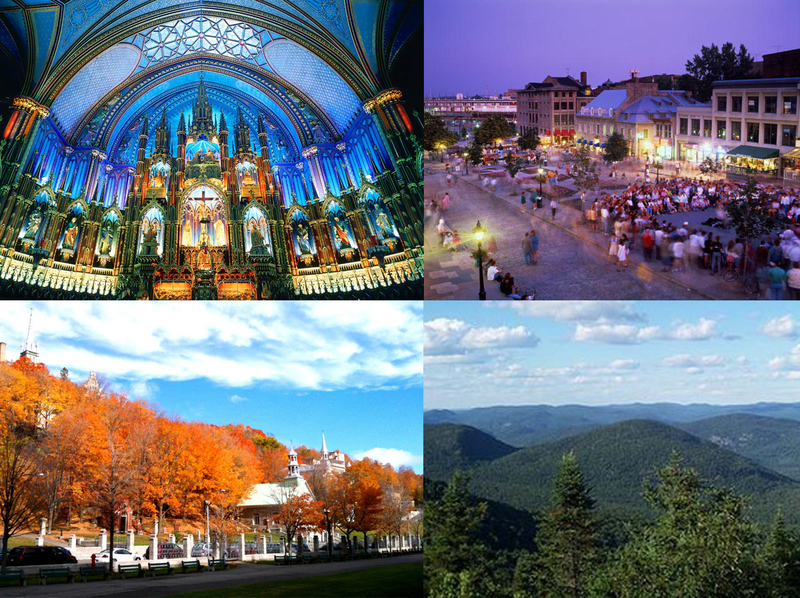 Not to mention that 90 minutes away, you’ll be able to discover the beautiful Laurentian mountains. While you’re at it, the Monteregian hills and Appalachians near Montreal as well. The perfect combination of nature and city life. We’ve all heard about the falls and the casinos, but have you ever thought about enjoying your stay at a Winery? Niagara’s region is great for wine, and you’ll discover that wineries are absolutely beautiful. 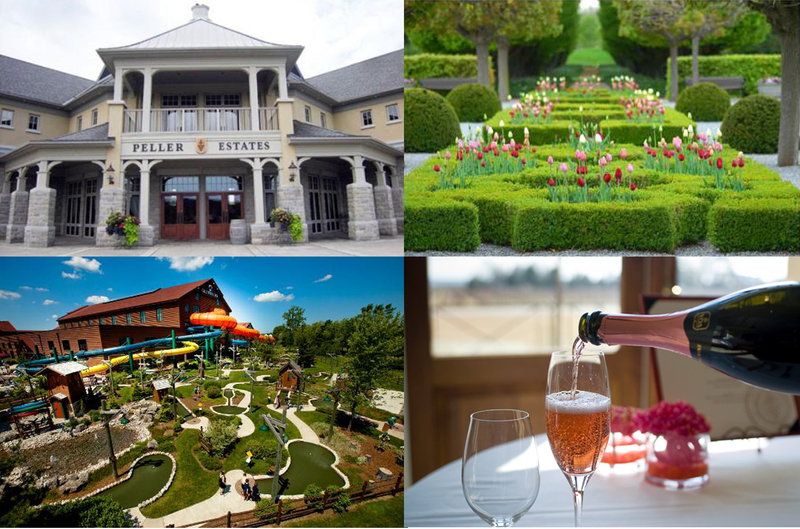 The Pelham estate and Peller estate will completely change whatever misconception you have about visiting these luxurious estates. Not to mention the amount of good food and wine you’ll be able to enjoy with your family (if they’re of age) or maybe just your significant other. If you’re looking for something for the kids, Great Wolf Lodge is always nearby and tons of fun. It’s my family’s go-to place during the holidays, and as old as I may be, I still enjoy my stay every time. The nearby town is also filled with small amusements and sights for you to roam. I’m sure that no one can resist the temptation of resting in hot springs (even in this weather). 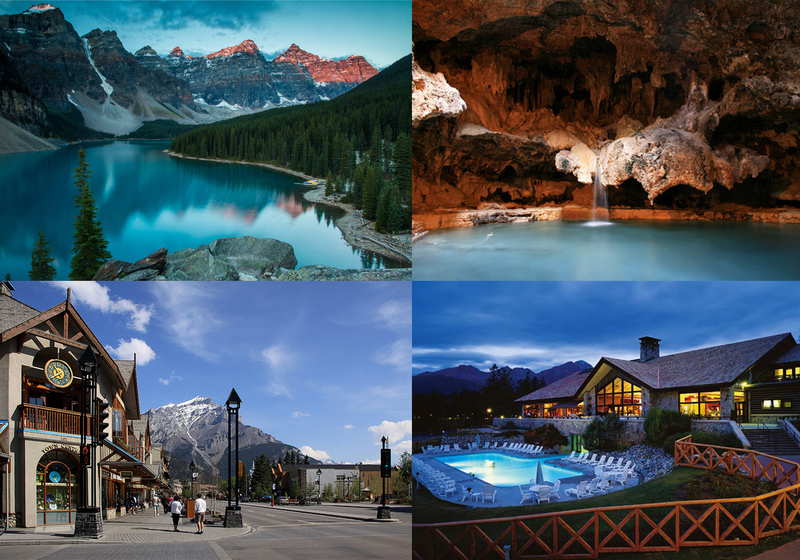 Banff offers not only these hot springs, but a marvellous surrounding area filled with shops, eats and art. The Banff area in general is breath taking, especially Lake Louise. Although I haven’t been here personally, it’s definitely on my list of go-to’s with so many recommendations from my friends. The best thing about small towns is how inexpensive everything is. You will have no trouble saving on motel bills here! One of the most shocking things I found when I first came to the area is how cheap theatre tickets are compared to my one and only hometown, Toronto. Ontario’s slogan “Yours to discovery” truly makes sense here. Vancouver has undoubtably the best food in Canada. Although some of it may be pricey, you don’t want to miss out on any of the eats while you’re here. Toronto is a close second in this regard, but from public opinion, Vancouver is still number one. I can’t think of a better Harbourfront than Vancouver’s seawall. 22km of paved scenic perfection. 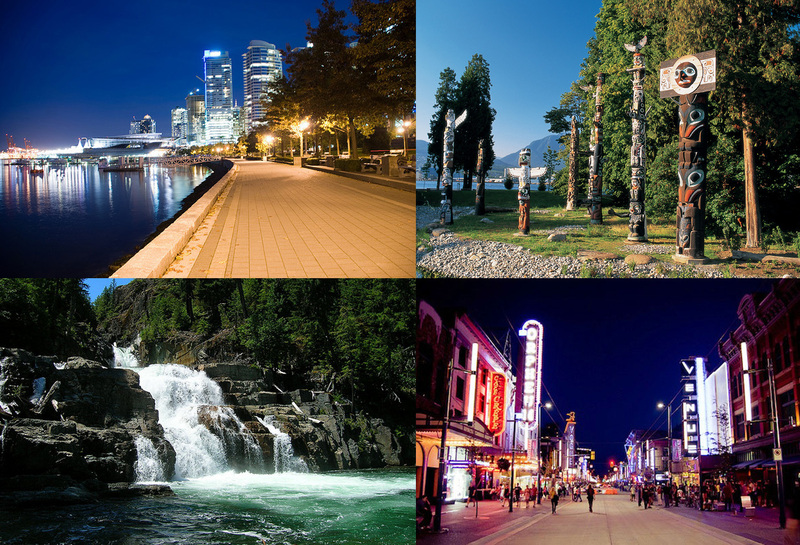 While you’re there, it’d be a shame to not check out Stanley Park and Queen Elizabeth Park. If you’re looking for some real nature, why not make your way to Vancouver Island to Della Falls! Della Falls (Canada’s tallest waterfall) is actually quite a mission to get to, but that’s what makes it worthwhile. It’s accessible by helicopter or boat and definitely bound to be a memorable trip. Stay tuned for a post on the one and only, Toronto!